Firefighters from Avon Fire & Rescue Service are set to take part in a charity football match to raise awareness about life in the fire and rescue service. Crews from across the service will take on Yatton Athletic Football Club on Sunday 8 August at the Hangstones playing fields, Stowey Road, Yatton, North Somerset. As well as the football match, there will be a range of activities for the local community to enjoy. 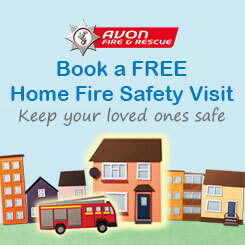 Members of the public will be able to look around a fire appliance from Yatton Fire Station, firefighters will be carrying out demonstrations, there will be interactive games and the chance to sign up for a Home Fire Safety Visit. The event will begin at 12pm, with the football match kicking off at 3pm. Money raised on the day will be donated to The Fire Fighters Charity and Yatton Athletic Football Club.